How do I mark an item on the invoice as an 'Add On'? After you check this, the total amount (Dollars) of add on items will then show up in the Job Summary in SuccessWare21 as Add On (Extra) Amt. 2. 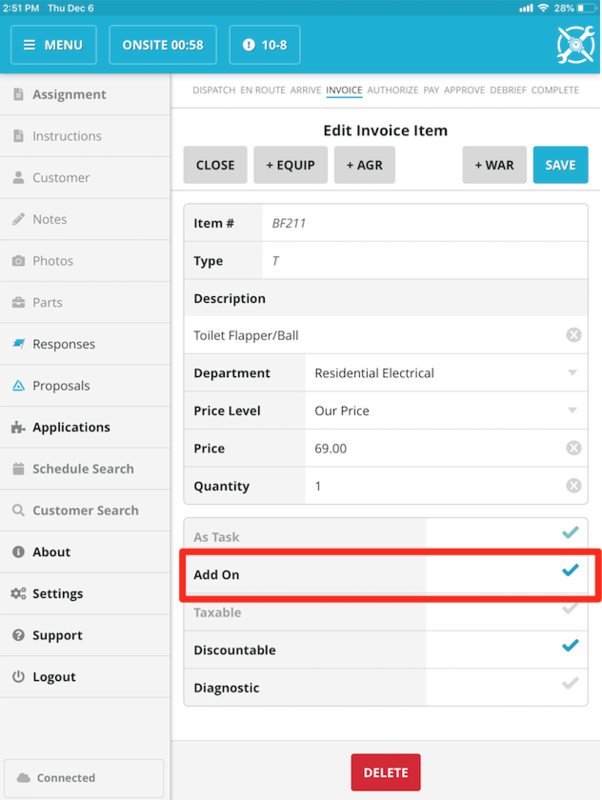 When choosing the proper criteria, you can view the Add On Amount, and many other reporting items.